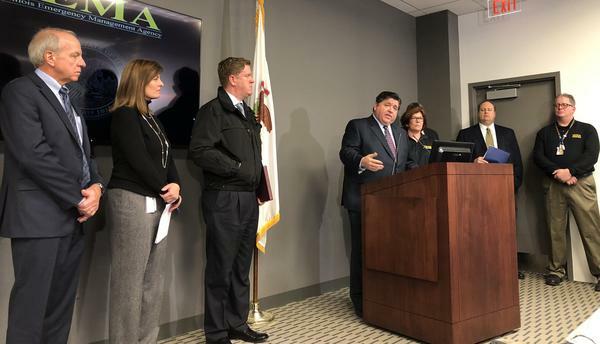 "You need to take this very seriously," Pritzker said Tuesday in a news conference at the headquarters of the Illinois Emergency Management Agency in Springfield, Illinois. Illinois officials are issuing dire warnings ahead of the arctic cold blowing into the state Tuesday night. 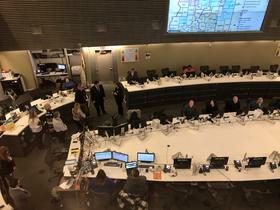 Visiting the state’s Emergency Operations Center, Gov. J.B. Pritzker preemptively issued a disaster proclamation. Temperatures are expected to reach record-lows through Thursday, with northwest Illinois getting down to –28° F. Wind chills could make it feel like –55°. Officials warn that at these temperatures, frostbite can develop in a matter of minutes, even through gloves and boots. Chris Miller, with the National Weather Service, says since 2007 in Illinois, 700 people have died from exposure to cold. “This is more than tornadoes, floods, heat, and lightning and severe storms combined,” Miller said. Miller says there is a bright side, at least for central and southern Illinois: by Sunday, temperatures could be in the 50s.